In her 15 hour/week role as Director of Music, Gloria directs the UUS Adult Choir and the House Ensemble. She assists the String Quintet and the Piano Ensemble and works with children in religious education. She also lends support to the Worship Associates in their planning of music and is available to consult with church committees and with the Facilities Coordinator on music bookings. Gloria supervises the UUS Staff Accompanist. Gloria assumed the Director of Music position in November, 2014. 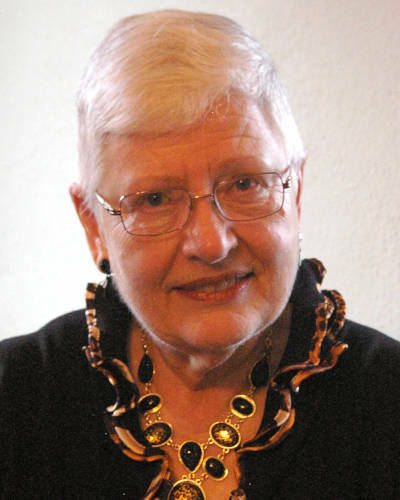 Previous to joining the UUS staff, Gloria was a music educator, school administrator and taught studio voice. She holds degrees from Morningside College (BME), Iowa State University (MA) and Colorado State University (PhD). Gloria lives in Coralville, only a short walk from the new church. She enjoys sewing, refinishing furniture and gardening. Traveling is high on her priority list as is visiting children and grandchildren.